Transformer vacuum furnace - GlobeCore. Oil Purification Systems. A common practice during the production or repair of power transformers is to remove moisture from paper insulation. The dried insulation has dielectric strength 20 times greater than not dried one, as moisture affects its dielectric breakdown. Depending on the types of transformers there are several ways to remove moisture from the active part. One of them is drying with a vacuum furnace (vacuum oven). optimal overall performance and reduced processing time. 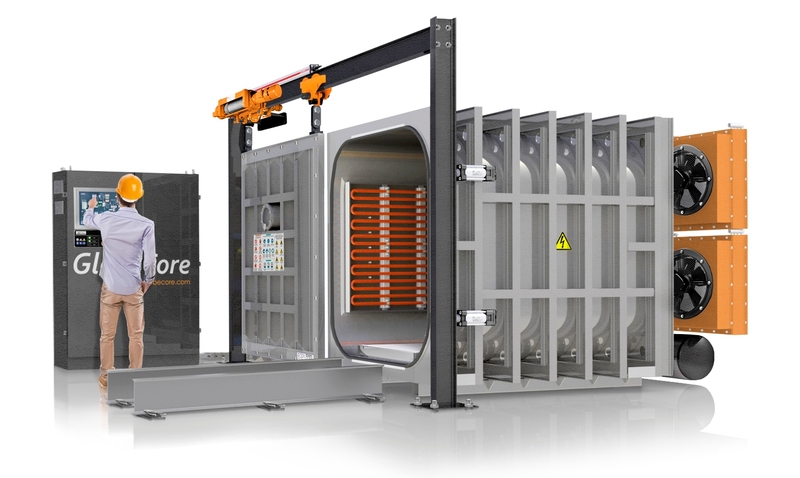 GlobeCore offers a transformer vacuum furnace with modifications, adapted to meet specific needs of the customer. The design, accounts for productivity, dimensions, and placement location, loading method, degree of automation, etc. 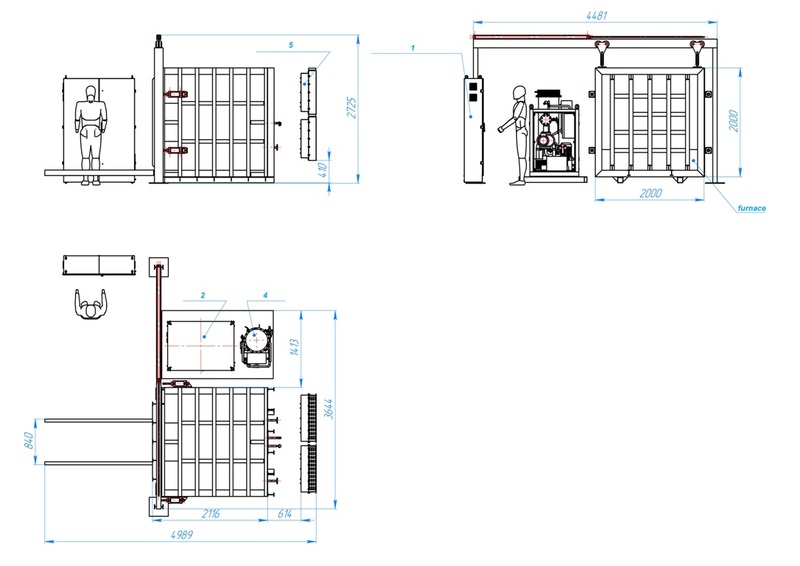 The following picture shows a vacuum drying cabinet UVS-6S. The active part of the transformer is loaded onto the sliding carriage by a travelling crane or a loader. The control of the carriage movement (motorized drive), closing and opening of the doors of the furnace chamber (pneumatic drive) is performed by an operator from the control cabinet. To heating of the furnace chamber is done by technical oil, which, in turn, is brought to the required temperature by an oil flow through heater. Remember that the price for a transformer vacuum furnace depends on the required dimensions, capacity, and technological features of the customer’s process. removal of moisture from chamber.